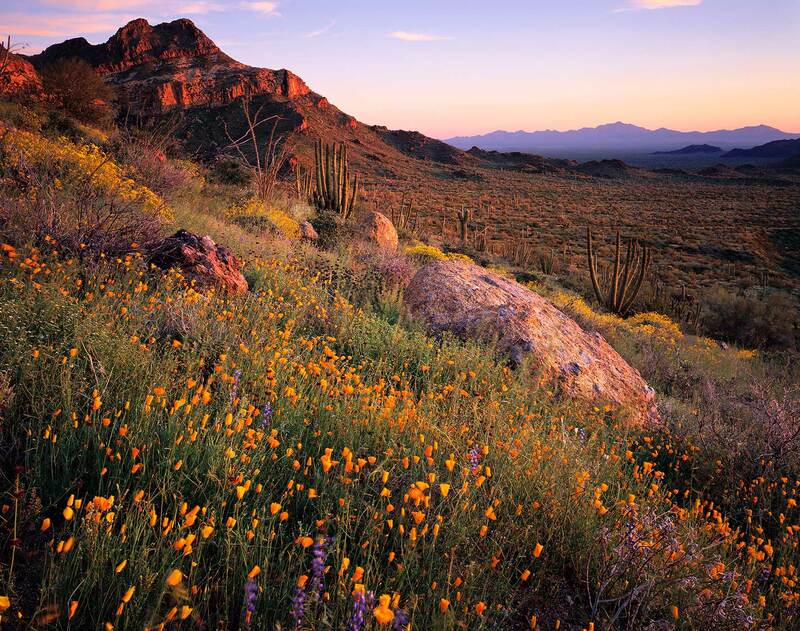 The desert wildflower bloom varies greatly in both magnitude and duration from year to year. In an exceptionally wet winter, when snow piles to the bottom branches on the high peaks, and wash bottoms that had faded to mere wrinkles in the dust course again with water, seeds that have lain forgotten for years awake to reclaim their ancestral lands. Mountainsides and valleys erupt in fireworks of wildflower celebration. Lupine, brittlebush, ocotillo, and delicate gold poppies cover this hillside in the usually parched Diablo Mountains.